Polo T-shirt was introduced to the world in the 19th century and since then, they have never been out of fashion. Every man definitely has one in his wardrobe. Polos can be worn for a lazy day out or an office brunch, and for almost everything between the two. Versatility: Polos can be worn with almost anything – denim, trousers, shorts, khakis, you name it. And it wouldn’t look awkward in any combination. All you need to do is take care of the color combination. For example, a white polo t-shirt looks great with blue jeans. Any contrasting combination, such as navy blue polo and light brown trousers, generally looks good. 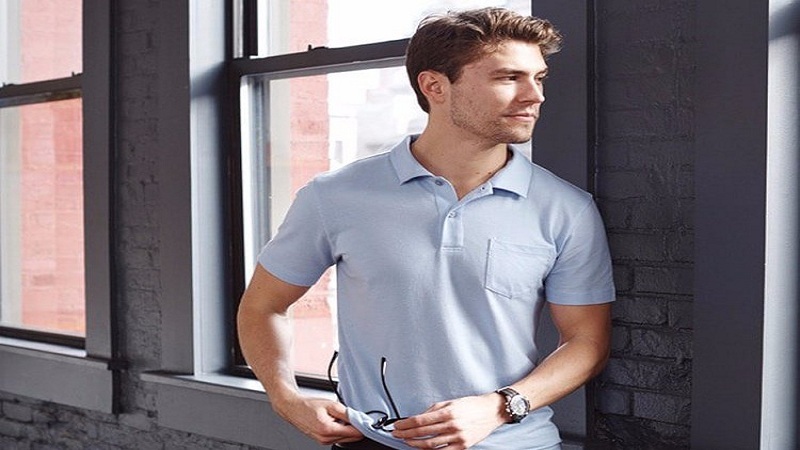 Formal and Casual: The collar and buttons give it a formal look to some extent and unless you are not going for a strictly-formal occasion, you can easily wear a polo T-shirt in a solid color such as black, white, grey or blue paired with formal trousers. And not only that, it would be your best choice if you are going to attend a sports match or participating in one. Layer’em up: Polos look great when paired with sweaters or blazers. This makes them good not just for the summers, but those chilly months too. The rule of contradiction applies here as well – a light colored polo with a dark sweater or blazer and vice versa. When pairing up with a sweater, make sure that the collar is visible above the sweater. You can also pair a short-sleeved polo with a long sleeved round-neck T-shirt underneath. Pocket-friendly: And last, but not the least, you do not have to burn a hole in your pocket to buy a polo. They are very reasonably priced and you can easily find them anywhere. From branded stuff to thrift stores, take your pick. To look your best in a polo, just take care that they fit well – not too loose, not too snug, just the right fit.